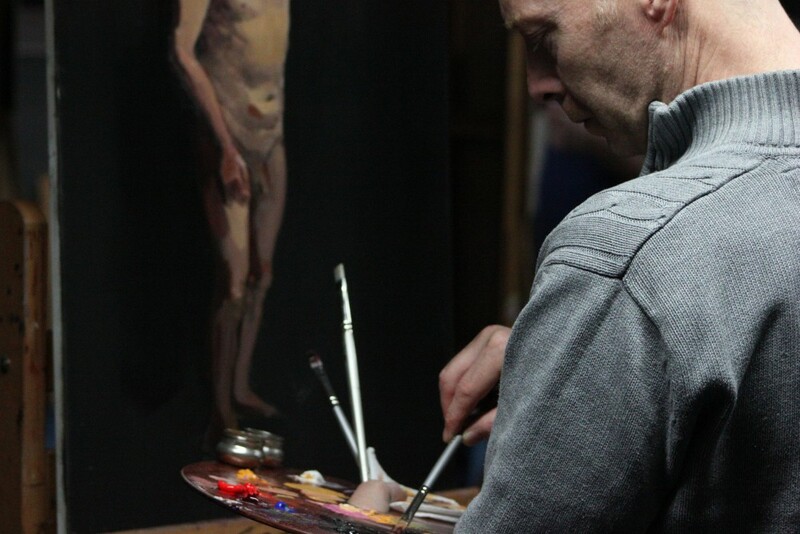 Learn how to paint the complicated subject of the human form in a simple and organised way. 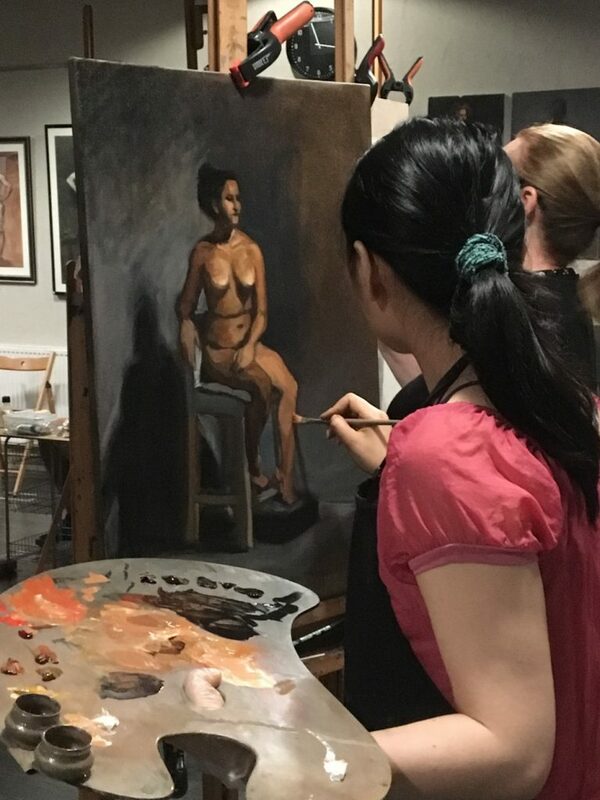 Taking advantage of a sustained pose for the entire duration of the course allows each student to first draw and then paint the figure in sight-size. 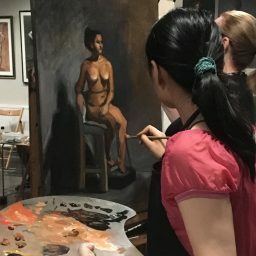 This course is designed to improve the student’s observational abilities, increase their familiarity with the human figure, and increase their confidence in paint-handling when using a direct-painting method. Engaging in a sustained study of the figure involves both the formulation of a pictorial language suitable to the task, and the application of a specific set of strategies through which accumulated observations can be framed to form a coherent whole. 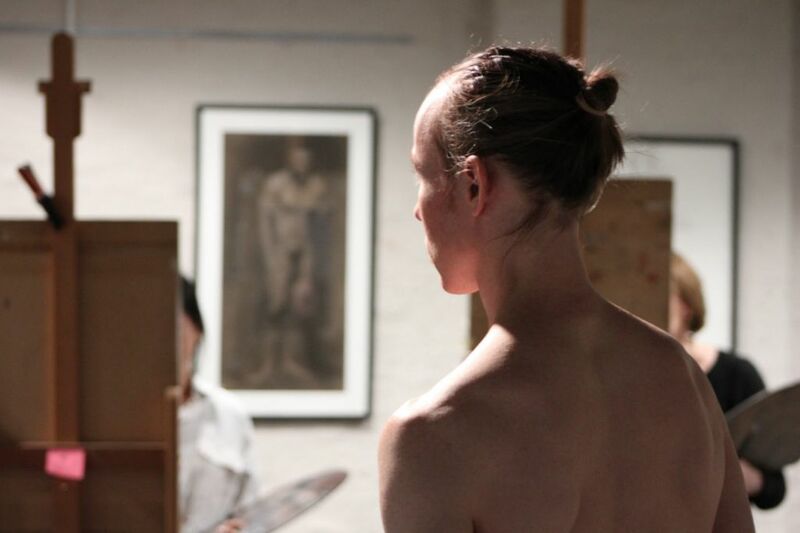 This workshop will focus primarily on imparting an efficient and structured approach to drawing and painting the figure from life, and aim to equip the student with a critical outlook towards their own process when creating observational work. This course has now achieved sufficient sign-ups and will definitely be running. 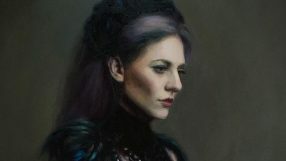 Discussion of materials: paint, mediums, supports, brushes etc. Please note: this course will involve some drawing; students will be expected to produce a preliminary drawing at the outset of the course to inform their paintings. Some basic references to superficial and deep anatomy will be made throughout the course; for this reason familiarising yourself with skeletal landmarks as preparation may prove useful (but is not mandatory). This can be achieved by consulting an artistic anatomy book such as Stephen Rogers Peck’s Atlas of Human Anatomy for the Artist, (Oxford University Press, U.S.A. (18 Feb. 1982), ISBN: 0195030958). 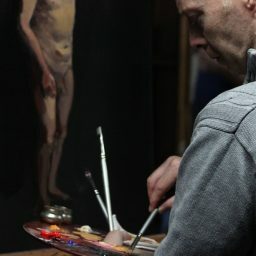 Working from the live model for six hours a day under professional photographic lights allows for careful, unchanging observation of the figure. Limited to 18 students, this is a wonderful opportunity for individualised instruction under a professional tutor. If numbers reach 15 students, there will be an assistant tutor present throughout. The Workshop Room is located within the main school of LARA London allowing for use of the main facilities of the full-time students. Cadmium Red* – PR 108 (or cheaper alternative English Red PR 1C1 or Winsor and Newton Scarlet Red). We highly recommend Old Holland, C Roberson, Blockx, Vasari and Winsor and Newton (cheapest option). Charcoal* – this can be willow charcoal or you can purchase Nitram charcoal from the school. Stretched linen canvas* or gesso panel – 14” x 18” / 18” x 24” approx. It’s advisable to buy 2 canvasses of the same size to help transport your painting safely home. 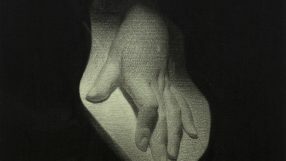 If you know how to put an imprimatura, please do so with a thin wash of raw umber as this will save you painting time. Alternatively, we will do a demonstration on the first day for those who are unsure. Small (roughly) A4 size canvas cut-off, panel or canvas paper* – for colour study. Hog bristle brushes* (overall a good selection of hog brushes should be used. The more brushes, the easier it is to keep colour mixes clean. A variety of size is essential for handling large areas of the painting as well as small details. However a set of at least 10 ‘filberts’ and ‘flats’ should be enough to get started. Winsor & Newton Sansador* or Jackson’s low odour solvent (odourless turpentine substitute for painting) – you cannot use turpentine within the studio. Something to carry your wet paintings home with on the last day, e.g. a canvas carrier*. If you are unable to find one, another canvas of the same size can be strapped to the front to keep the painting safe while being transported. 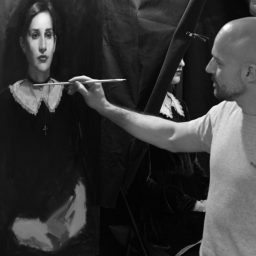 "Mastering the technique of painting is just the beginning. Deciding what to do with it is the hard part."